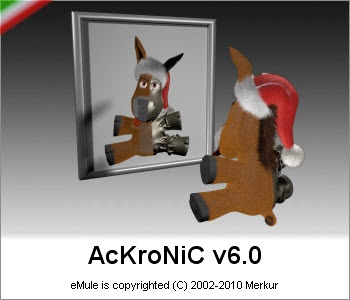 Before I took the job of reviving AcKroNiC, it was based on official eMule - however vast majority of features and changes (besides mostly Italian Pride) were taken from MorphXT. At the time, I took the wrong turn and continued AcKroNiC as a vanilla mod (based on official) with some of MorphXT (and derived) stuff replaced with same functionality from other mods. The result was pretty stable, however it produced very problematic code to maintain without any real good reason. 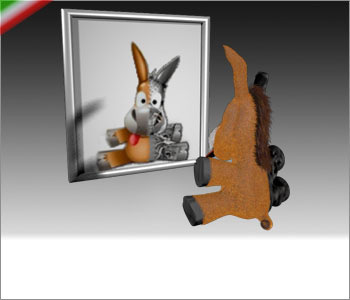 - so AcKroNiC is joining MorphXT family and our new version (6.0) is based on MorphXT v12.5. MorphXT got it's own leecher detection & treatment mechanism called Morph Leecher Feature - anyone preferring this can use AcKroNiC-MLF. Regular (default) BIN is using Client Analyzer (CA) for leecher detection & treatment as AcKroNiC versions from the time I revived it.